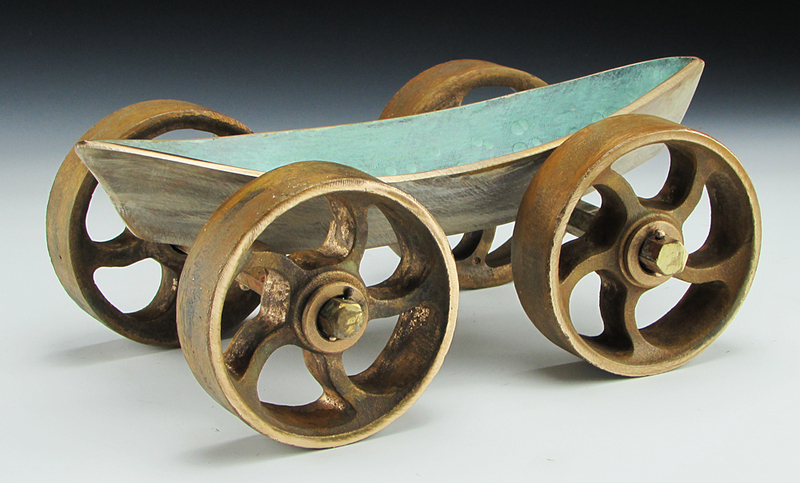 to all things things with parallel lines and right angles. 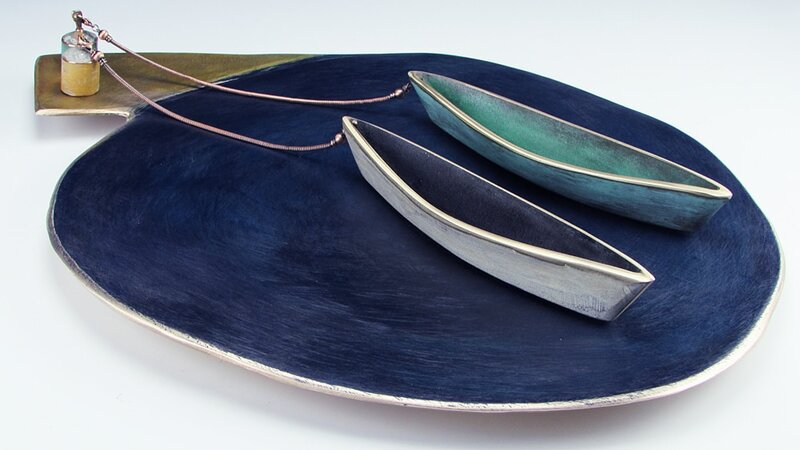 The shape provides stillness and calm. 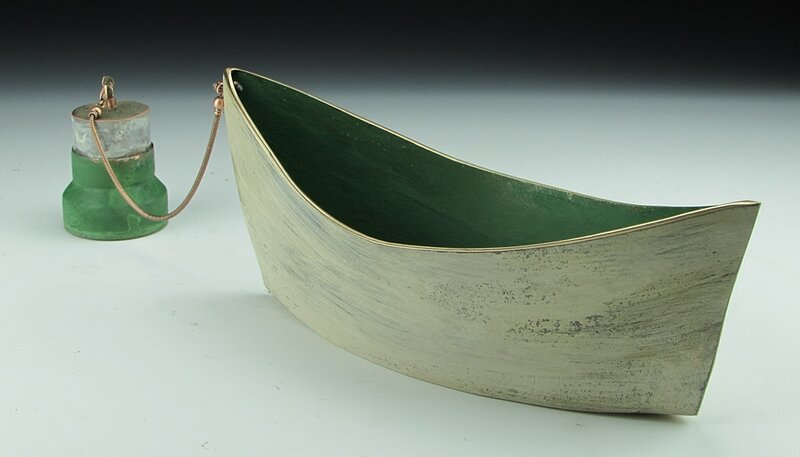 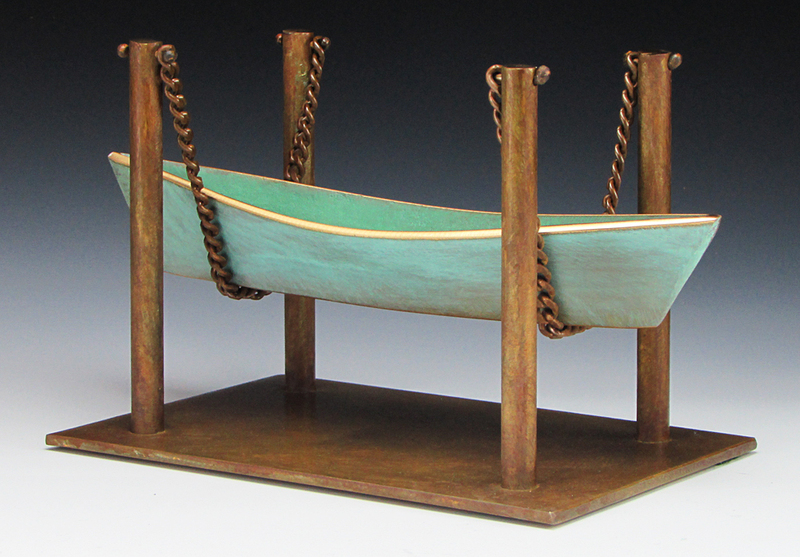 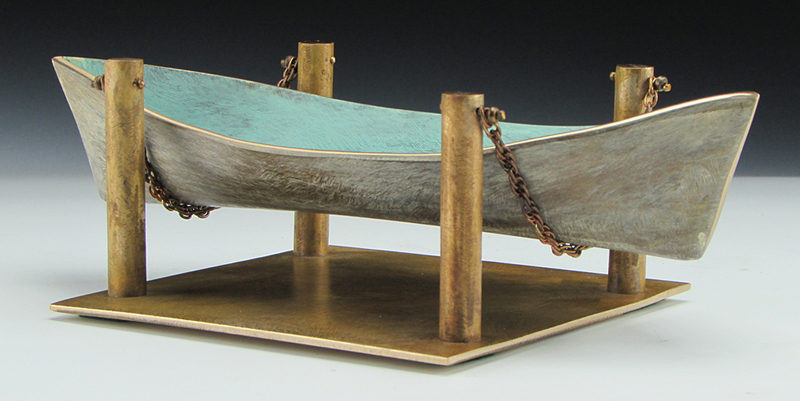 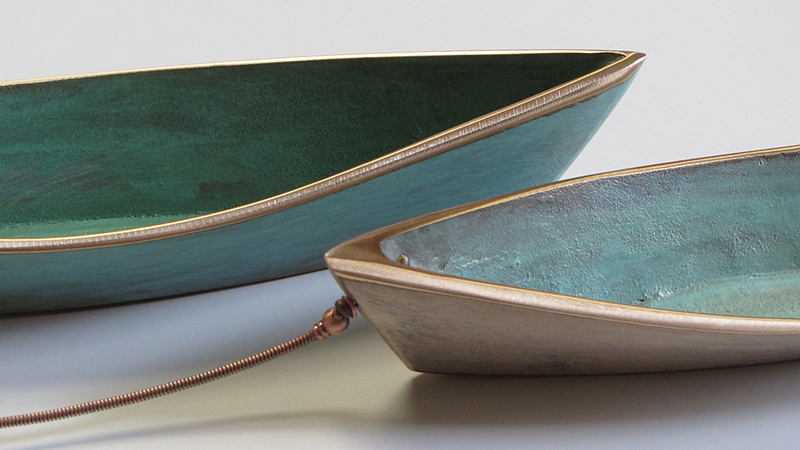 Please call 815-363-0668 or email mcleanbronze@comcast.net for available small bronze boats. 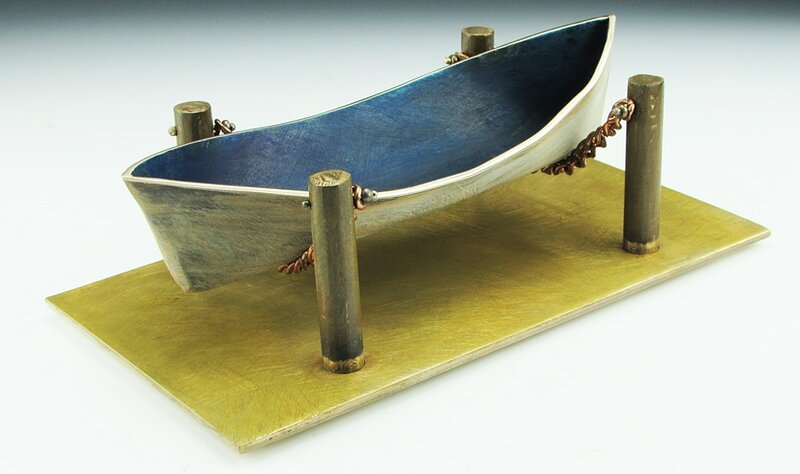 Welded original, 6" x 16" x 3"
above: "Highside Boat for Deep Pond"
Welded original, 3" x 10" x 3.5"
Welded and forged original, 6" x 11" x 3.5"
38" x 7" x 6"